Refreshing take on color from one of the world’s leading interiors bloggers, Will Taylor of Bright Bazaar. What began as a popular blog attracting over 400,000 readers a month is now a one of Pinterest’s top influencers with over 2.4 million followers. One of the best blogs to take note on how to decorate with colour. Holly Becker launched decor8 in 2004 as a small interior design studio in Boston. 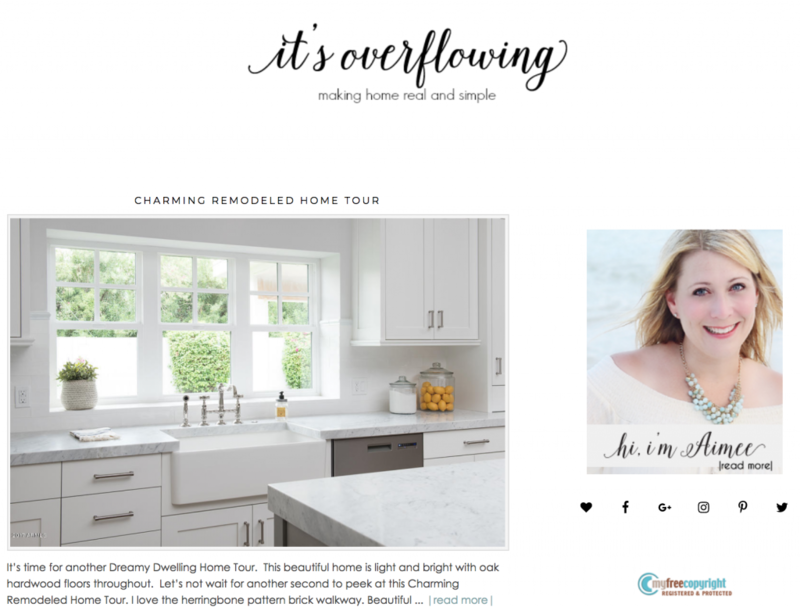 Nearly a decade later, the blog has become extremely popular for it’s well chosen photos and the personal touch in every post about home decor. Design*Sponge is a design blog run by Grace Bonney. 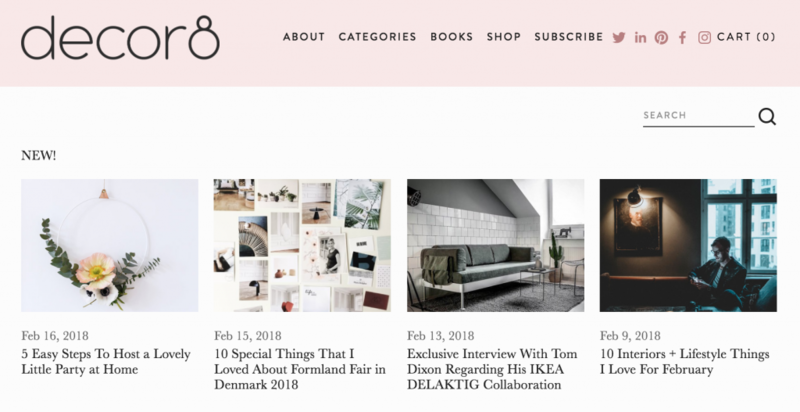 Launched in 2004, the blog attracts 1 million devoted readers across the globe for Its fresh and authentic stories, and practical ideas anyone can apply in his home. Sherry and John live in Richmond, Virginia spending their days doing projects, photographing them, writing posts, and raising their daughter Clara and son Teddy. Readers love their obsession with DIY and how fun it is for them making this blog. The lively ideas and the their loyalty for this blog sure worth the follow. Founded in late 2011, Brit&Co is a leading destination for the DIY generation, currently reaching over 10 million creatively-minded people each month. The blog provides tools to teach, inspire, and enable creativity among women and girls. Founded in 2008 by Aimee Lane who shares her inspiration for creating a simply inspired home. On the blog you will find a collection of house tours, photography tutorials, organisation tips, DIY projects, fabulous shopping finds and room makeovers. 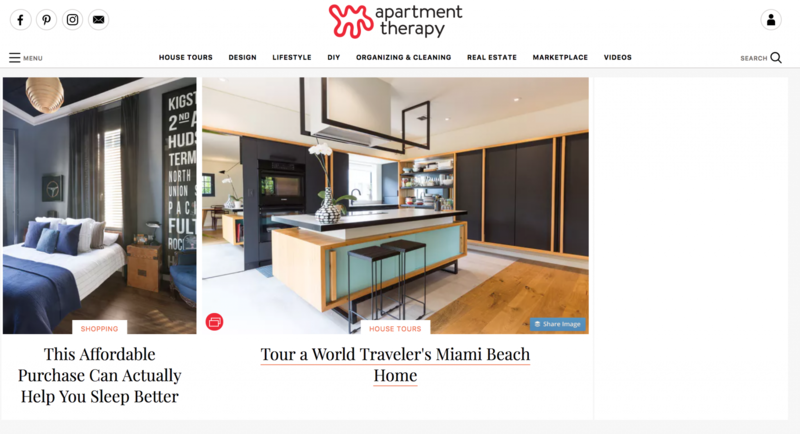 In April 2004, Maxwell, with his brother Oliver Ryan, launched Apartment Therapy, reviewing stores, offering tips, posting photos, becoming the most successful blog in America and the world over. Justinas bohemian aesthetic emerged out of her multicultural upbringing in Berkeley, California. With partnerships with brands from One Kings Lane to Anthropologie and a social-media following of over 1,300,000 people, her bohemian style, approachable voice and novel ideas inspire millions to get free spirited with their home decor. Remodelista.com is the go-to, undisputed authority for home design enthusiasts, remodelers, architects, and designers. Remodelista decodes the secrets to achieving this aesthetic, with in-depth tours and lessons. 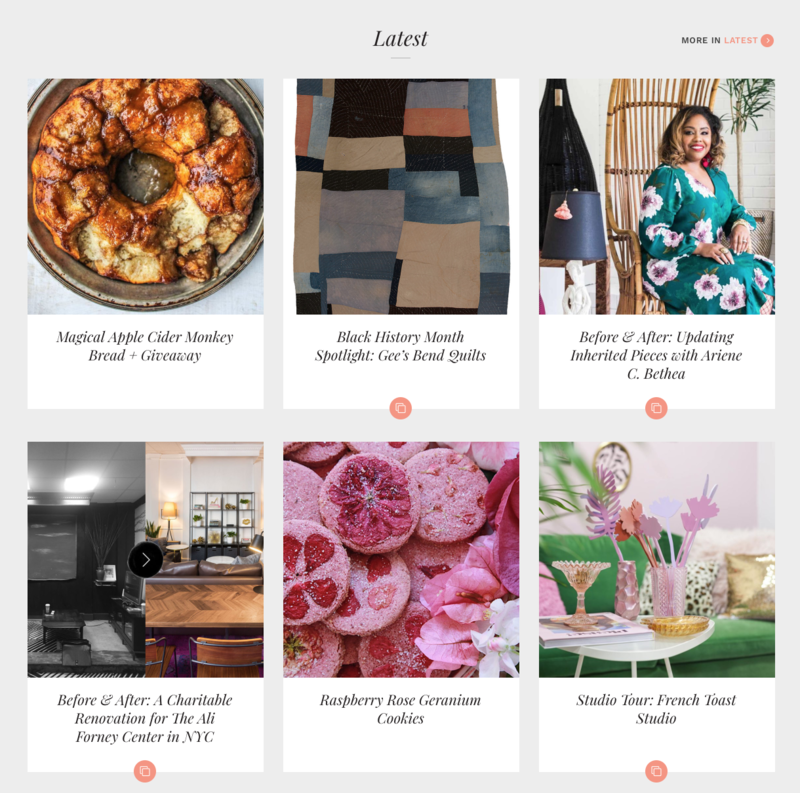 Sania Pell, a talented writer created a place to share her favourite interior styling and great design; fine art and contemporary craft; exciting new products and flea market finds; handmade and homemade. You can read her articles in famous magazines such as Elle Decor. The blog is well known for her excellent taste and inspirational photos. 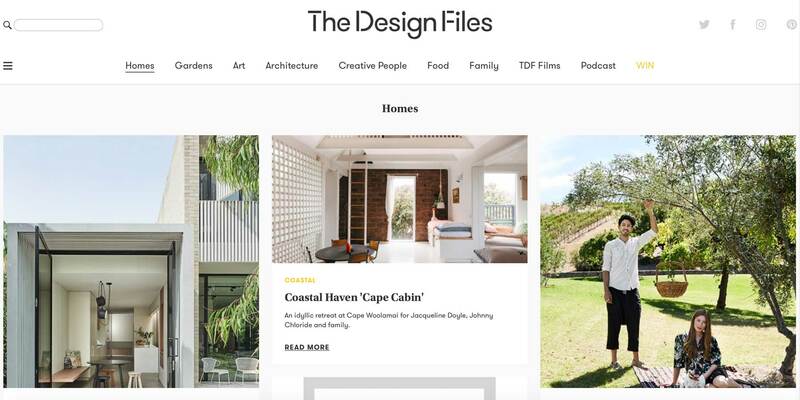 The Design Files was established by Lucy Feagins, a stylist and set dresser, who works alongside InsideOut and Domain publishing design related news and advice. Gaining a large following to become one of The Time’s UK’s Top 50 design blogs across the world, their home archives offer insight into style trends, beautiful homes around the world and industry news. Not only do their articles cover interior design, but offer extensive information for creatives, foodies, gardeners and architects. Now, go forth and explore! Each blog from around the world offers unique and practical advice as a go-to bible for designers and creatives. By following Interior Design trends and news it sparks newfound inspiration and creativity that you can apply in your own homes and practices.